At Cross Keys we know just how important Mums are, and our retailers have a variety of gifts in store for Mother’s Day. 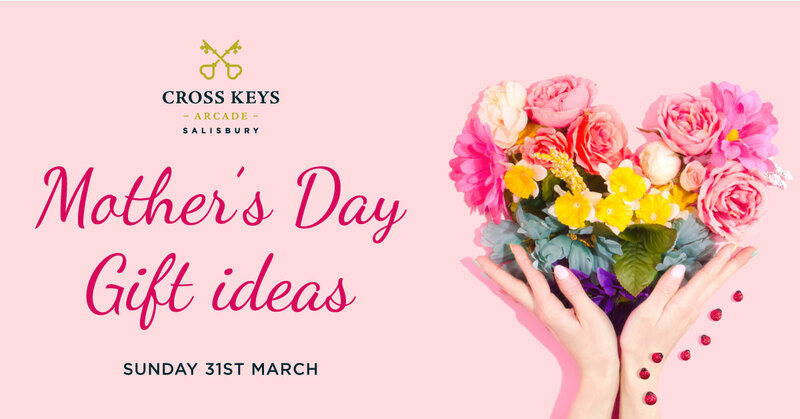 We are always looking for ‘something a little different’ for special occasions at Cross Keys Arcade Salisbury and Mother’s Day is no exception! Mother’s Day is a day to celebrate those that have loved, nurtured and helped us everyday. Cross Keys Arcade offers a wonderful selection of boutique niche independent shops, restaurants and national chains positioned in the heart of Salisbury just off Guildhall Square, and there is something for every Mum!